This month, I took my three hardest, busiest moments and put them together. It has been a fun chapter, full of ice cream, incredible help, and patience. I love going thrifting. Beyond salvaging sewing machines, I also love examining household products, the more retro the packaging the better. 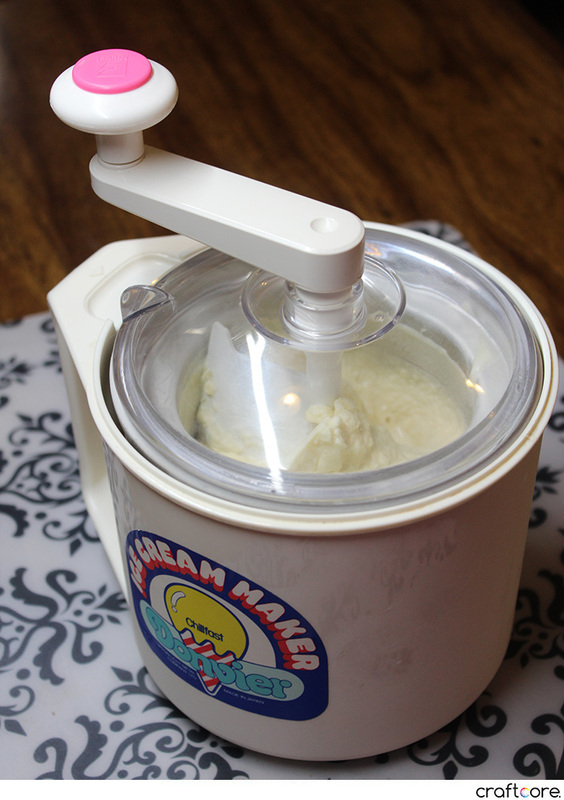 When I came across this Donvier Ice Cream Maker for just $2.99 at Value Village, I had to try it out.